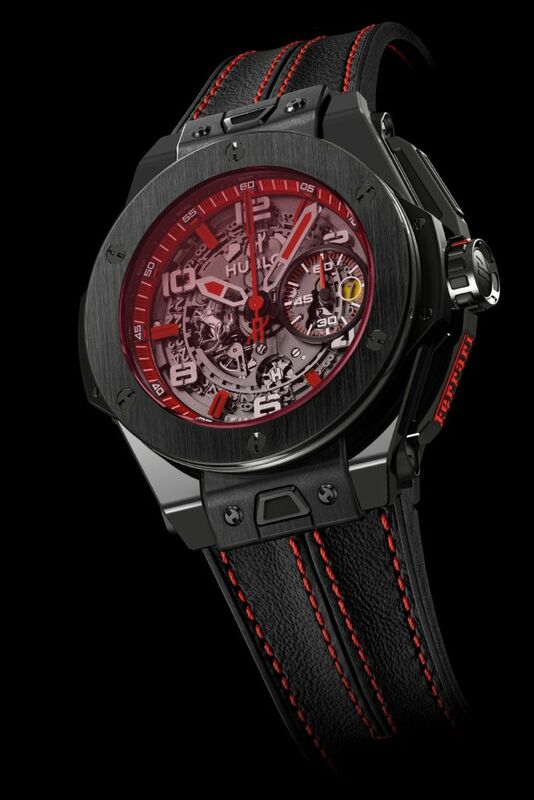 Swiss luxury watch brand HUBLOT unveils a special limited edition Big Bang Ferrari timepiece as a tribute to Singapore. This exclusive timepiece fuses design, materials and mechanics in way that uniquely addresses the respective DNA of Hublot and Ferrari: innovation, performance, technology and exclusivity. This very exclusive limited edition will only be available at luxury watch retailer The Hour Glass. Clad in a shade of distinctive red – red sapphire crystal glass housed in a black ceramic case, red hours, minute indexes on the dial and a red-on-black rubber and Schedoni leather strap with red stitching – it is a nod to not just our national colour but also an homage to the Ferrari prestigious signature. With just a rarity of 50 numbered timepieces available, the case back of the watch also features the discreet legendary Prancing Horse. This watch will be unveiled for the first time at The Hour Glass’s first pop-up store held at Paragon’s main atrium – Super Machines and Horological Heroes – to celebrate the complex artistry of horological craftsmanship from September 18. This exhibition will be held in conjunction with the 2013 Formula One Singtel Singapore Grand Prix™, the world’s first Formula One’ night race on Marina Bay Street circuit. The Big Bang Ferrari Singapore Limited Edition (45.5 mm in diameter) houses a black ceramic case with a cylindrical bezel that dramatically showcases the in-house flyback chronograph UNICO movement (can be reset at any time) visible through the sapphire dial. The UNICO movement can be compared to the best possible engine to power a racing car, and that it was selected, then designed and developed by Hublot to power the Big Bang Ferrari. With no fewer than 330 components, the column wheel and dual horizontal coupling appear on the dial. Frequency of 28,800 vibrations per hour. Each timepiece will come with two interchangeable straps, in red or black Schedoni leather stitched onto black rubber, with an innovative quick-change system inspired by the safety seatbelt mechanism. The tone on tone stitching is a nod to the signature upholstery craftsmanship typical of Ferrari. 72 hours of power reserve, water resistant to 100 metres. The absence of superfluous accessories brings out the fusional and rational aspects of the Big Bang Ferrari Singapore’s unique design, a pure expression of the values that characterize the sports spirit of Ferrari and at the same time the inimitable Hublot style. Limited edition of 50 pieces and is exclusively available at The Hour Glass boutiques.